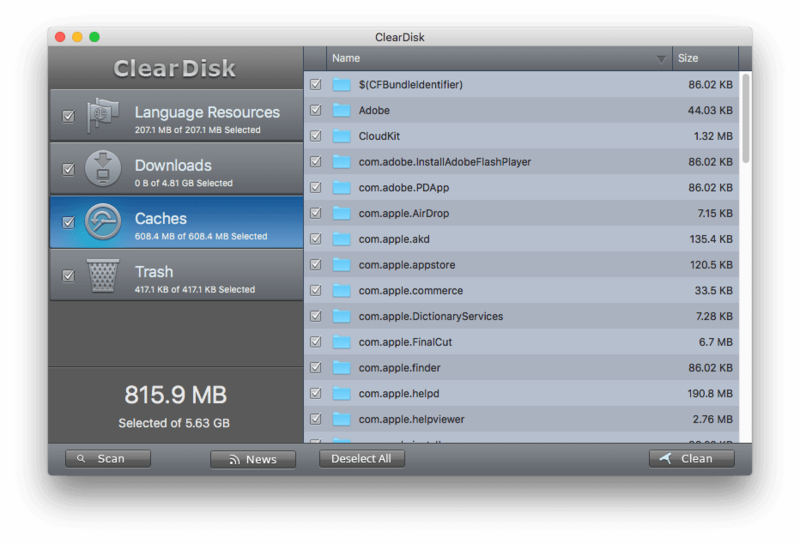 In the Memory Cleaner app click the Review button to get the disk usage information and smart tips for the next steps. Depending on the proposed tips and data you would like to clear, open each MacCleaner’s application from Memory Cleaner window and get rid of unnecessary files. We would recommend you the following order: ClearDisk→ App Uninstaller→ Disk Expert→ Duplicate File Remover. 1. Open ClearDisk to remove language resources, downloads, cache files and Trash folder. 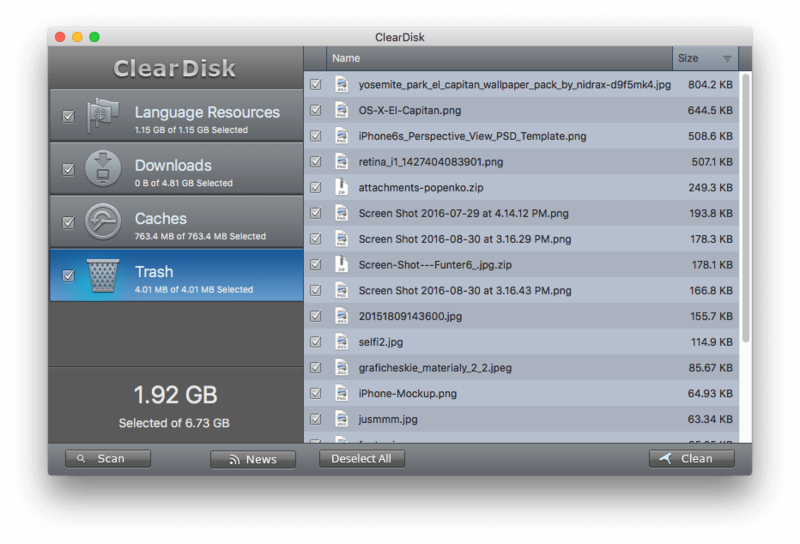 You can delete caches safely and clean a Trash folder. When you clear Downloads, arrange the list of files by size and select the largest and unnecessary files for a quick deleting. 2. 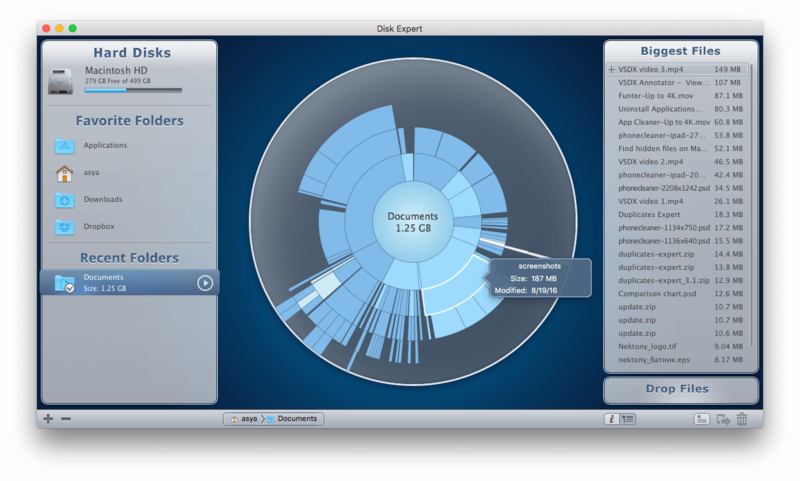 Open Disk Expert to delete the biggest files and folders, that take most disk space. The app will help you to find the largest files and folders. Disk Expert shows also the list of 25 largest files. Scan any drive or folder to view its structure and the largest files. Select the biggest unnecessary files and folders and remove them. 3. 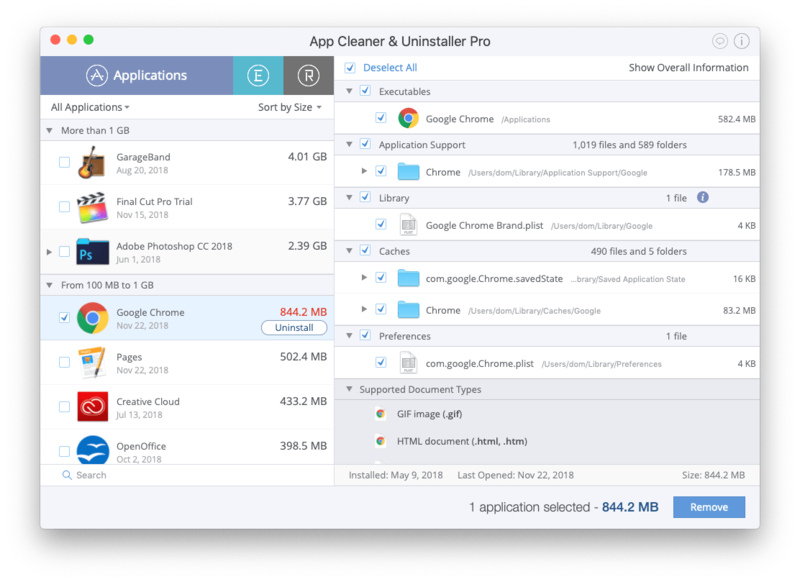 Open App Cleaner & Uninstaller to delete unused applications and remains. The applications with service files can take up a significant disk space. Moreover, if the apps were removed by simply dragging to the Trash, supporting and temporary files may remain on the disk. 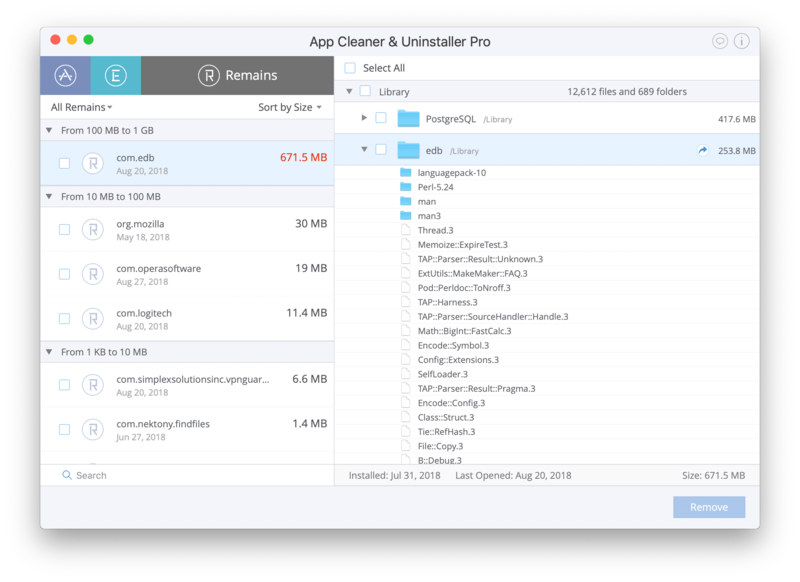 With App Cleaner & Uninstaller you can uninstall unused apps with all service files and remove remains of apps that had been trashed before. To view remains click the letter R or go to Menu → View → Remains. 4. 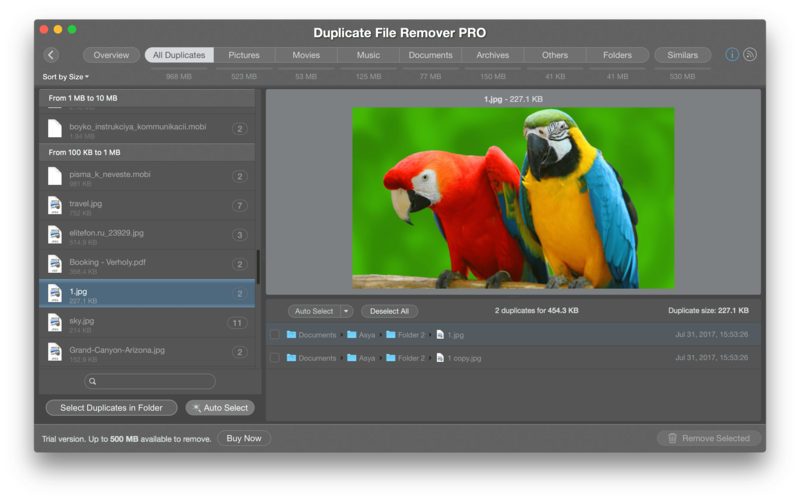 Open Duplicate File Remover to find and remove duplicate files and folders from your Mac. The application finds duplicates in the selected folders. 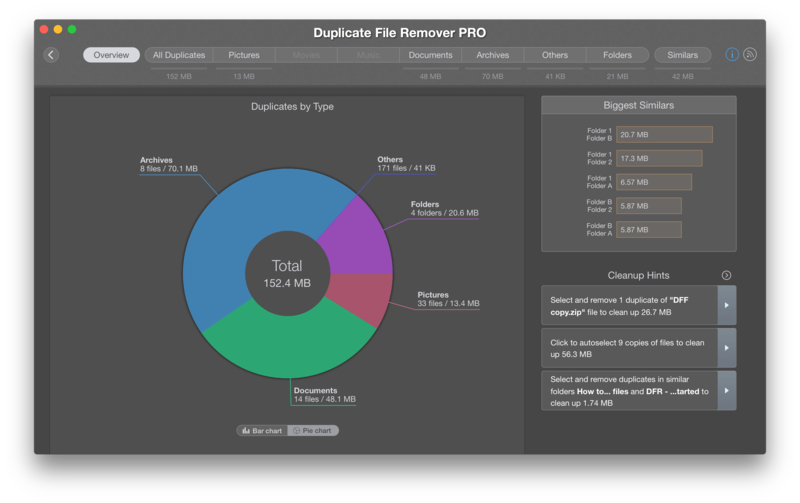 We recommend you remove the biggest duplicate files and folders to free up space. 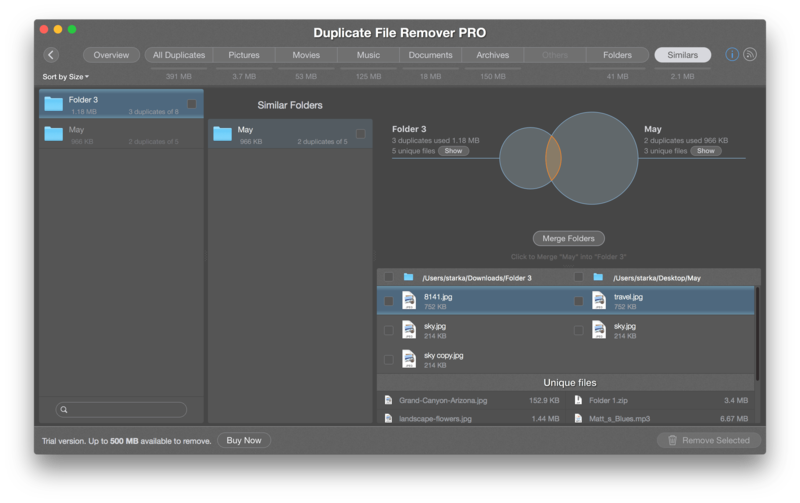 You can also find duplicates in different folders or drives at the same times. Use Autoselect to select files’ and folders’ copies quickly. If you want to select all duplicate files on your disk then use Select any (Menu → Select→ Select Any Copies or CMD+K keyboard shortcut). That`s all. 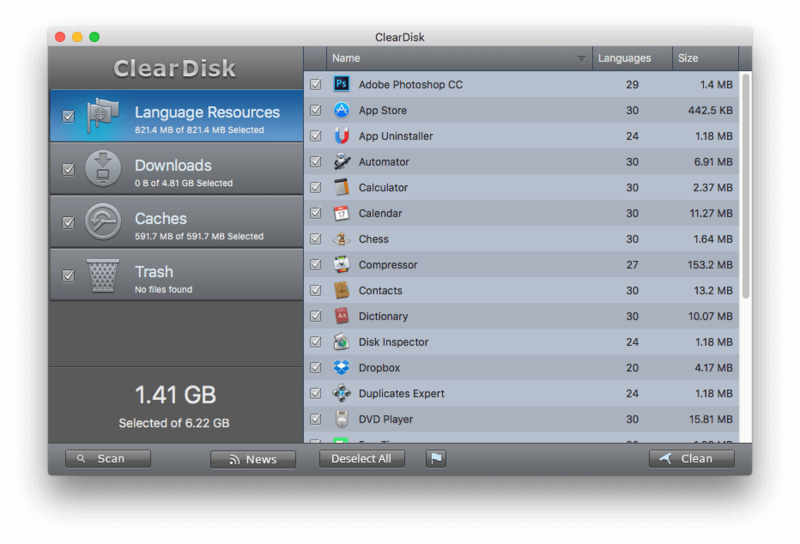 In general MacCleaner Pro tools will let you clear from 20 to 50GB of free space on a disk size of 240 GB. 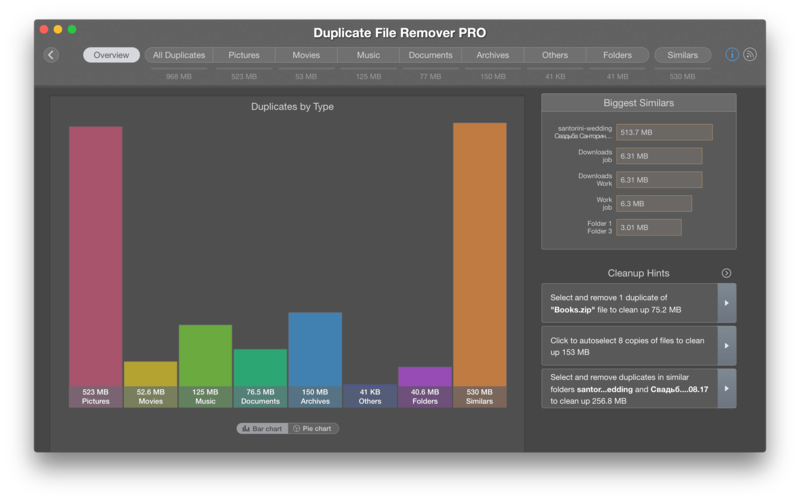 Make a cleanup of your Mac from time to time to keep it work fast. Contact us via email and we will reply within one working day.